Once again Best Elopement Ideas has featured another one of our adventurous wedding couples. This time the couple chose the Valley of Fire North of Las Vegas, Nevada. Click on the link below to read the story published by bestelopmentideas.com The Valley of Fire at Rainbow Vista makes for a beautiful back drop with the red rocks and color all around. 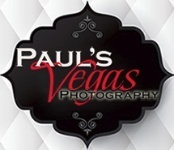 Paul's Vegas Photography can make all the arrangements from Las Vegas, including permits, officiant, and video. Click here to see our latest publication!